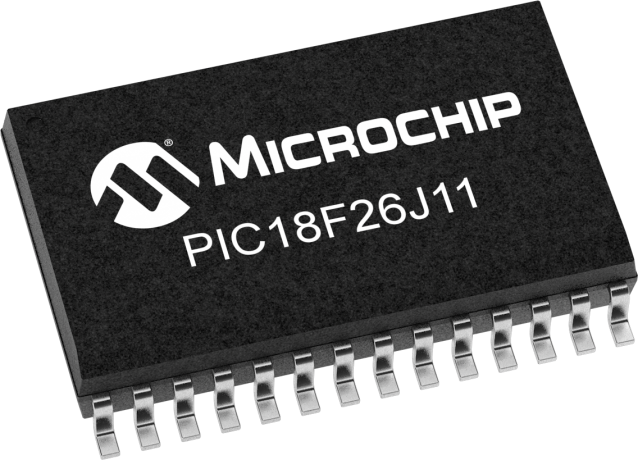 This family provides low power and high performance 8-bit MCU with peripheral flexibility in a small package for cost sensitive applications in the PIC18 J-series. New features include Deep sleep mode for low power applications, Peripheral Pin Select for design flexibility for mapping peripherals to I/O pins and a CTMU module for easy capacitive touch user interfaces. The PIC18F46J11 family is ideal for applications requiring cost-effective, low-power solutions with a robust peripheral set in a small package.